Do you suffer from Repetitive Stress Injury? Have you been assessed with RSI and told that there is nothing that can be done to eliminate the pain? 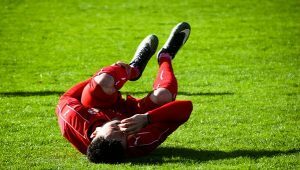 Rather than treating the symptoms of the injury ensure that you treat the underlying damage and restore your health for the long term. You do not have to live with long term pain as a result of a repetitive stress injury. Ross Short has a proven program to address the route causes of your pain and eliminate the suffering due to RSI. At Body-Wize, our approach is to treat the whole body, eliminating pain for the long term rather than focusing on a short term fix or adjustment that will mask the symptoms. Helping you recover from Repetitive Stress Injury and achieve optimal health is Ross’ primary goal. Most chronic pain is a result of a compilation of our past experiences – injury, stress, and tension. Ross uses a combination of four proven modalities to bring your body back into alignment and eliminate pain – Hellerwork Structural Integration, Pilates, Reiki, and Whole Body Vibration. Using this unique combination of techniques to address balance in the whole body, Ross has a 93% success rate in reducing or eliminating chronic pain in his clients. 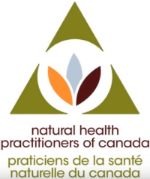 Overall alignment is critical to our long term health and to reducing or eliminating pain. When the body is in alignment, we are aligned with gravity and our joints and muscles move fluidly and painlessly. When we are out of alignment our bodies – tissues, joints, muscles and bones are fighting gravity and each other, leading to short term pain and longer term health issues. This lack of alignment can be due to repetitive stress injury, poor posture, or how each of us has integrated stress and tension. Over time, tension, stress and injury lead to imbalance and increased misalignment. Body-Wize can help eliminate your RSI pain. At your first appointment, Ross will assess your alignment and balance and work with you to build a program to treat the cause of the discomfort. Body-Wize can eliminate your immediate pain and create a plan that creates long term balance and health. Book your appointment with Ross today to ensure your permanent recovery from repetitive stress injury. By treating the underlying causes, you can eliminate or reduce your pain for the long term.